I have ordered from Dragon Express several times and have never been disappointed!! The portions are pretty large, I can easily get 3-4 meals out of my order and they always handle my special instructions correctly. They usually give a 50-60 minute delivery window but it's never been that slow, mine took just 25 minutes tonight. This place comes very highly recommended, I'm afraid to try anywhere else because I know this place will ALWAYS be good! Good food, I have ordered several dishes from here and none have disappointed. I enjoy the quick delivery as well, they almost always come early but are always on time if early is not an option. I will continue to order here as it has become a very reliable good food source that is quick and convenient. My food said it will arrive 50-55 minutes, but it arrived in 25-30 minutes. Since I thought it was coming in 50 minutes, I took a shower and in the middle of my shower i heard a lot of knocking. So i had to rush my shower to get the door. The food was still hot and it taste good! Have been looking for a good Chinese food restaurant by me. Saw these guys on Grub Hub and decided to give them a try. Very impressed. Food arrived by delivery 20 minutes before the estimated time. Tasted just like it smelled... AWESOME! Definitely recommend and will order again. Healthy and great flavor. Delivery was quick. Awesome food always on time. Before establishing Dragon Express in 2006, Owners Tony & Sharon'srestaurant experience spanned many years in New York &New Jersey. As immigrants from Southeast Asia & Mainland China, the couple worked as a management team for Chinese restaurants for 5 years while attending school. They soon realized their true calling; their passion for food. This soon sends them to their first franchise, Dominos Pizza, where they soon opened their second & third stores. Over the last 10 years, Tony & Sharon have had huge success in their pizza franchising experience. Based on their Asian background, the couples' dream has been to open a contemporary Asian Restaurant, and to apply a modern American concept into traditional Asian flavor; to accomplish the result of East meets West. Tony & Sharon put their own touches into the atmosphere and style of service, based on the philosophy or providing a hospitable and engaging dining experience for our guests. So come in and experience yourself in the "DRAGON" way! 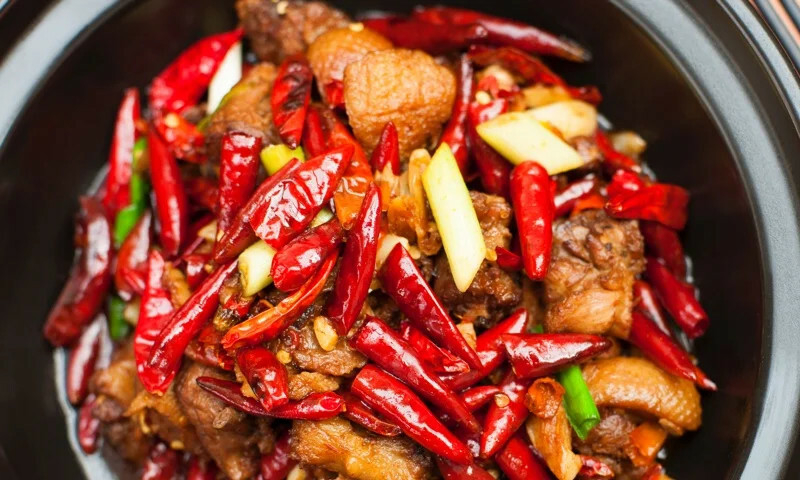 Whether you're craving a quick bite or looking to treat yourself to a delicious meal, you can now order your Dragon Express favorites for takeout or delivery.